The Reserve at Spanos Park Golf Course was opened in 1999 and sits on 360 acres of lakes, wetlands and working farmland. The 18-hole championship course was designed by noted golf course architect Andy Raugust, formerly a member of the Jack Nicklaus design team. The course features 7000 yds, Par 72, seven lakes coming into play on 12 holes, strategically-placed bunkers and fast-breaking, well-protected greens that put a premium on shotmaking. Four sets of tees on each hole help balance the difficulty of the course, which presents a unique and extraordinarily picturesque golf experience for players of all levels. Call or book a tee time online at The Reserve at Spanos Park's official website. The Reserve also features its own restaurant. Indulge lakeside in a menu crafted by their Executive Chef, Barry Mitchell, while taking advantage of the constantly-rotating draft selections and bottled beers and house wines. The Reserve at Spanos Park has a full kitchen with amazing daily specials including a wide variety of sandwiches, salads, entrees,and appetizers. They also feature a delicious breakfast menu available every day from 7am to closing. Please call for full hours. 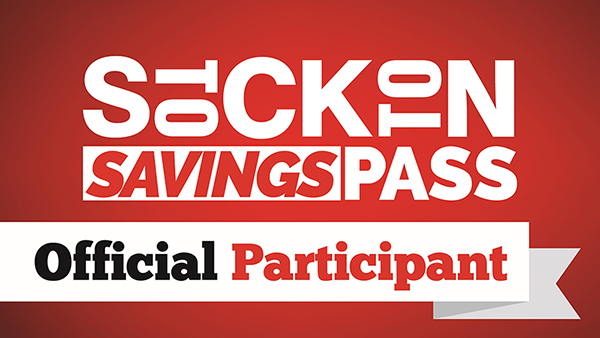 The Stockton Savings Pass is a mobile coupon book for residents and visitors. A multitude of local businesses, like this one, offer one-time and/or repeating deals (daily, weekly or monthly). Redemption of the coupons is easy, with just one click on your smart phone. To purchase the pass and see a full list of participating businesses, as well as a breakdown of the deals they are offering, go to StocktonSavingsPass.com. Beginning on Thursday, October 24th the University of Pacific Tigers' golf team will host its annual Visit Stockton Pacific Invitational at the Reserve at Spanos Park.